L I V I A: HAIRCARE REVIEW: FEAT. BHAVE RESCUE INTENSE REPAIR FOR SHAMPOO + CONDITIONER, WHY IT SERIOUSLY RESCUED MY DRY HAIR! HAIRCARE REVIEW: FEAT. 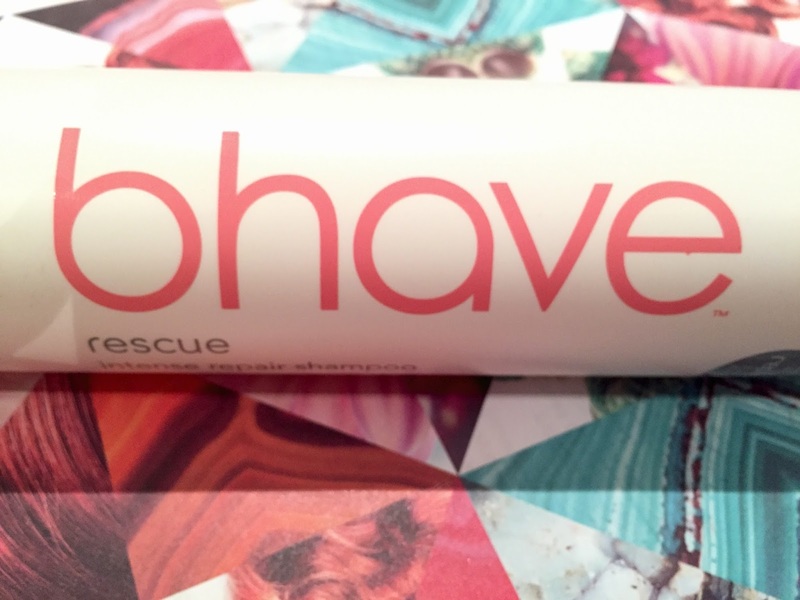 BHAVE RESCUE INTENSE REPAIR FOR SHAMPOO + CONDITIONER, WHY IT SERIOUSLY RESCUED MY DRY HAIR! Do you suffer from dry hair, split ends, dull looking hair...? I've recently took this new Australian salon professional hair care range called bhave™ on a road test to really see whether it could help in smoothing out my hair and look to nourish it more. Can I firstly say how impressed I was with the Rescue - Intense Repair haircare range which included the shampoo and conditioner. I was so amazed to see how effective these helped my hair to feel stronger, smoother and more silkier. bhave™ is a new and dynamic type of Australian owned brand that specialises in haircare where they are completely free of nasties which includes formaldehyde, sodium chloride, parabens and sulphates. I've tried the Rescue range and I am just astounded by how amazing and soft it has left my hair looking and feeling. bhave™ is the first haircare company that offers new functional keratin based hair restoration technology in their haircare products. On a constant basis our hair is left feeling dry, unruly and simply damaged from using the hair dryer and other heating hair products quite frequently. When your hair is completely exposed to these elements, you'll find that your hair will feel dry and even develop split ends. My hair was always constantly damaged and I was getting tired of brittle and dry looking hair. I couldn't style my hair properly too so I needed a hair fix urgently. 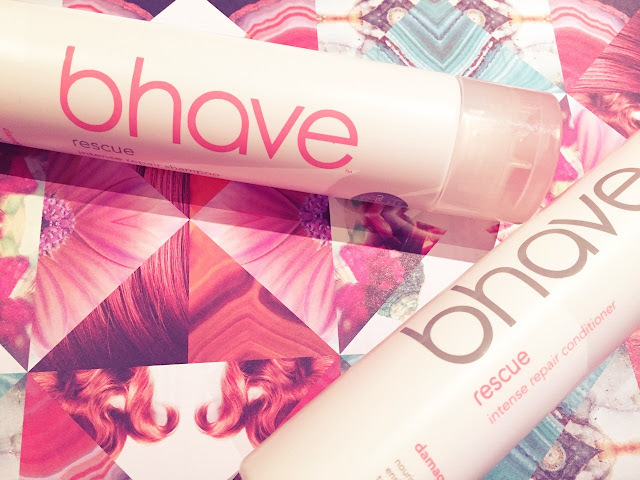 I've used the bhave™ Rescue Intense Repair Shampoo and Conditioner which includes NEW Raw Natural Keratin technology that basically means that it can look to penetrate hair shaft and look to repair any damage by rebuilding each strand. I've found with regular use of the shampoo and conditioner, the functional keratin forms a protective shield around your hair strands. What's present in the product is actually naturally derived and extracted proteins from the wool of New Zealand sheep which works to rebuild the hair structure, restores strength back to your roots, elasticity and definitely gives your hair more of an amazing shine. I found that the formulation of the shampoo looks to cleanse my hair really well, but also looks to moisturise and restore my hair back to normal. After using, I can definitely feel that my hair has become more nourished, cleaner and more fresh. The best aspect of the shampoo and conditioner range is that it does not even include any harmful parabens, sulphates or sodium chloride which is always good to know. This makes the shampoo and conditioner so friendly to use and is definitely suited for ALL hair types. I would definitely recommended this product for those that suffer fro severe hair damage, chemical treatments and those that use heat appliances frequently. When used as a hair duo, it's definitely a 'must have' essential if you're in need of replenishing your hair and want to achieve more softer, silky looking hair. I used a small amount of shampoo and conditioner each when washing my hair because only a little amount is required. I love the smell of the shampoo and conditioner where it's really fruity and sweet which I absolutely enjoy. It's very addictive! The shampoo didn't even leave my hair line feeling greasy which was good. I found that the product itself is amazingly concentrated which really means that you don't require a large amount when washing your hair. Contains Raw Natural Keratin Technology (where it contains naturally derived and extracted keratin proteins form the wool of NZ sheep) This allows for your damaged hair to be rebuilt from its internal structure, restore strength, elasticity and bring back some shine to your hair. The formula has a sweet, nice and pleasant fragrance to it. Shampoo really cleans, moisturises and nourishes. Made to fix damaged hair. Left my hair feeling so soft and silky. Provides a shield against further damage. Comes in a 300ml convenient to use plastic bottle. Available in hair salons and wholesalers nationwide. Contains the same Raw Natural Keratin Technology just like the shampoo. Did not weigh my hair down or make it feel oily. Suitable for thick and fine hair. Helps to restore strength and condition hair. Looks to nourish hair and leaves hair feeling silky and soft. Protects the hair against further damage. Overall it's such an amazing and one of a kind type of shampoo and conditioner I have ever used. It works absolutely well and keeps my hair looking soft, smooth and shiny. It's definitely a full 5/5 stars for me! I hope you enjoyed reading all about the Australian bhave brand. Stay tuned for more bhave reviews in my next posts. I use this particular range & I love it! Its definitely given my hair more strength (my hair was previously snapping into pieces, which was a result of another keratin product I was using - just worked that out recently) & it hasn't weighed my fine-but-lots-of-it hair down too much (unless I use too much product), although the only downsides are the price (might be too much for some, but I'm using mine 1-2 times a week & I'm only a third of the way through each bottle, so cost per use is low) & availability. Have you tried the riot control oil/serum as well? I got that in a pack with this shampoo & conditioner & it too is great. Smells delicious & you really don't need much in your hair to leave it feeling soft post-blowdry. I getting hair breakages that often, so I am happy about that. Before using the bhave haircare range I felt my hair getting so dry and my split ends were nearly visible. I've dyed my hair so many times hence the hair damage. I am so happy about this new range and the price is understandable because it truly works. I agree with you on how to use just tiny amounts to conserve more use out of the shampoo and conditioner. The trick is to not go overboard when washing your hair with it! I have yet to try the riot control oil serum properly, I am looking to do that next week. I did get a quick smell of the product and it smells amazing already! Thanks for the tip, I'll be sure not to use that much when testing the riot control out. I can't wait for it!